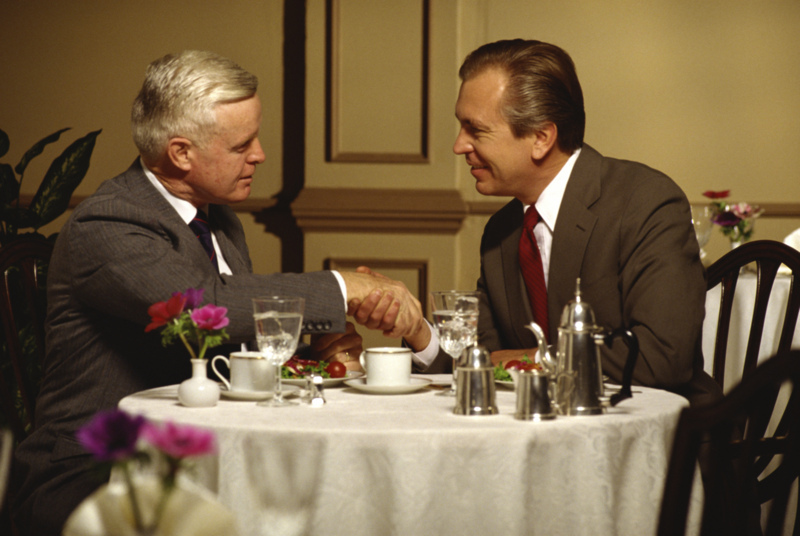 Choose a restaurant that will provide an environment that is relaxed and quiet enough for business conversation. Also, check out the menu beforehand to decide on a couple of options you could order. This can save you that moment of indecision when you want to project a strong, decisive image. You’ll also be able to make decisions if you’re on a restricted diet. If you are not sure, follow the lead of the host. Don’t put your Blackberry or iPhone on the table. 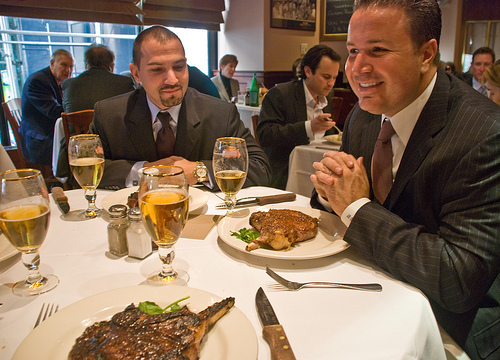 Glancing at your cell phone during a business lunch is disrespectful and distracting. If you know it will be too tempting, leave your phone in the car. The email will be there once your business lunch is done. Remember your basic dining etiquette. Don’t talk with your mouth full. Use your napkin. Break your bread, don’t slice it. Keep your elbows off the table. Keep utensils on your plate, not the table. Put your napkin on your chair, not the table, if you must excuse yourself. Don’t drink too much. Depending on what type of business situation it is, an alcoholic drink may be appropriate. If you choose to drink, have only one. Typically, doing so is acceptable only if others at the table have a drink. Be polite and courteous to the help. Treating the wait staff well is a good reflection on your behavior. Be sure to thank your host and fellow diners at the end of the meal. 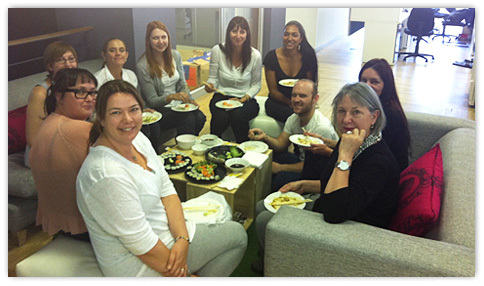 Avoid difficult to eat foods at a business lunch. Examples are: spaghetti, ribs, lobster, crab legs, foods with sauces.